Best Prostate ® Formula Does GMO matter? You have two tomato plants in a garden planted side by side. One is GMO and the other is all natural. The GMO tomato plant was genetically altered in a laboratory so that when it is planted it can withstand being sprayed with poisonous insecticides and or weed killers. To maximize return on investment the grower now sprays both plants with insecticide and pesticides because he feels that this will maximize his yield and he or she will not have to worry about weeds or insects destroying his fruit. The natural non-GMO plant dies as it cannot withstand being sprayed with pesticides. The sprayed GMO plant lives and produces big red tomatoes. The question is would you want to serve this tomato to your children or grandchildren? Would you want to consume this tomato yourself? 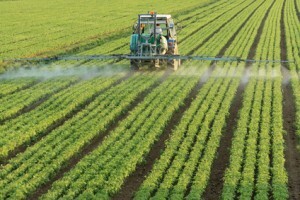 A non-GMO plant grown organically would not be sprayed with either insecticides or pesticides. There would be no chemical residues as a result of adulteration. The non-GMO tomato produces big red tomatoes. Would you eat these tomatoes and or serve them to your children or grandchildren? Most likely you would and they would be very good for you. Ultimately the decision to consume and accept GMO products rests with each of us as individuals. When it comes to the Best Prostate ® Formula, Best Prostate ® is the only prostate supplement that is labeled GMO free or non-GMO. To accomplish this, the ingredient Beta-sitosterol in Best Prostate ® is sourced from pine bark. The ingredient is IP certified which means “Identity preserved”. This means that the ingredient has a pedigree and that it can be traced back to the source. Best Prostate ® uses ingredients that are sourced in the United States. Best Prostate ® is manufactured in the United States. In addition some users find it important to know that the Beta-sitosterol in Best Prostate ® is Kosher and Halal certified. If you have questions about Best Prostate ® contact IMS Supplements, Inc. at 888-768-3836. FDA warning: 5-alpha reductase inhibitors; is it time to consider natural alternatives for enlarged prostate symptoms?